The sun is spinning on an axis, but not the way we would expect it to. Since the sun is made of gas, the entire sphere isn’t rotating all at once like Earth or other planets do. In fact, the sun’s surface spins much more slowly than its interior — an observation that’s baffled scientists for some time now. New findings, however, point to a strange theory for why this happens. In a study published last Friday in Physical Review Letters, a research team reports tracking waves rippling through the sun’s outer layers, and finding that the sun’s 70-km-thick skin is slowing it down, which the team believes is a cause of stellar photons interacting with plasma in the sun and removing momentum. Other stars might also experience this slowdown, especially larger and brighter ones. Researchers believe the older the star is, the slower it is. Starting in 2010, researchers acquired images of the sun’s outer edge by NASA’s Solar Dynamics Observatory spacecraft over three and a half years. To study different depths within the sun, the team used images taken with different that observe the massive ball of hot matter under different wavelengths. Under each of these filters, researchers figured out the rotation speed by measuring the motion of the ripples in that layer. The sun’s plasma spins faster at the equator and slower at the poles. The further away the plasma is from the core, the slower it spins. For example, the sun’s 70-km skin rotates about five percent slower than the rest of the photosphere, or the 500-km-thick outer layer. That’s because the sun’s core creates photons that diffuse outward and interact with the sun’s plasma. Inside the sun, the photons scatter so frequently that they lose angular momentum, but in the sun’s outer layers, the plasma loses angular momentum while the photons radiate away. All this slows down the sun’s outer edge. It’s similar to a sprinkler with a rotating spray nozzle. As the nozzle spins around and squirts out water, the water sprays out in the opposite direction of the nozzle. The photons are like the water, slowing down the sun by moving in the opposite direction. 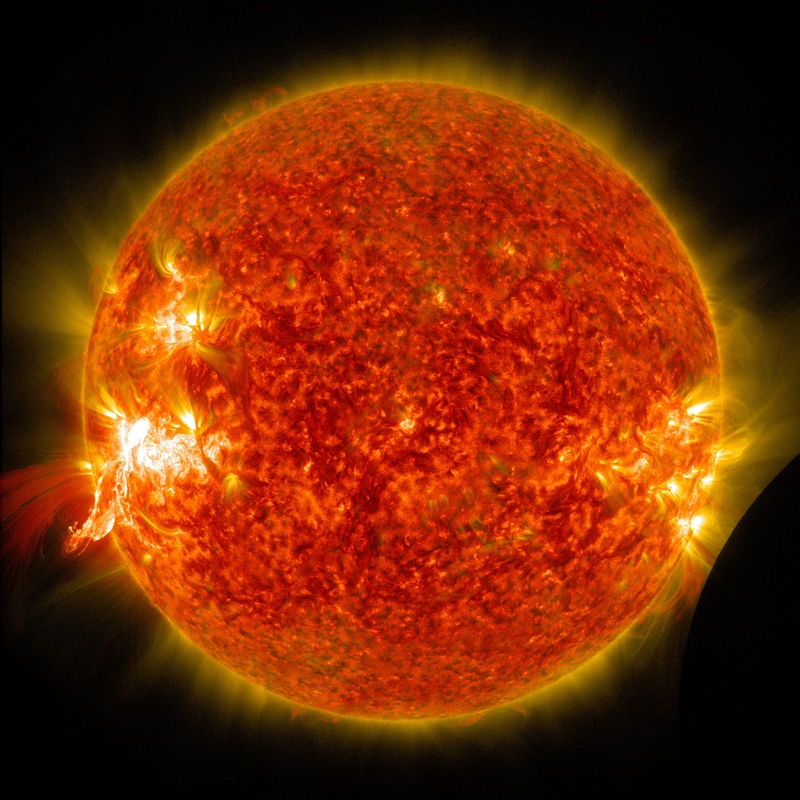 Previously, scientists studied the sun’s rotation using a technique called helioseismology — measuring the vibrations on the sun’s surface. With this new technique, scientists may be able to observe rotation patterns in other stars and study how the sun’s motion twists the stars’ magnetic fields. Now that we’ve unlocked why our own sun rotates the way it does, we can start figuring out how other stars spin as well.